Brain protection should be a helmets primary mission. to improve the weight/volume ratio and prevent the brain from hitting the skull in the event of an accident. Higher loads, higher speeds, more impacts, in a more dynamic test setup - ASTM exceeds CE, AS and CPSC standard for bicycle helmets in every way. ASTM is also the only standard testing the safety of the chin guard. to give you peace of mind wearing our new BRAVE with D3O® in BMX or Downhill races where you need the best protection possible. to withstand double the number of impacts compared to a normal composite construction, over different areas of the shell. The inserts are made from the orange-coloured D3O® patented technology which is soft and flexible with high shock absorbing properties. In standard conditions, the materials molecules flow freely but under impact lock together to absorb and dissipate impact energy. Professional riders who helped to develop the Brave helmets insisted from the outset on how important it is to have air vents on the chin guard as good respiration is essential for high-performance. We listened and went on to create the most ventilated chin guard on the market. Its design was also dictated by our search to find the best ratio between maximal protection and minimum bulk. MX-style visor with two-point attachment. Allows super fine tuning of the visor position. Attached using aluminium screws. The visor naturally seats at the point of maximum air pressure on the helmet. The visor of the Brave is designed to provide the minimum drag. Easy to use with goggles. Gives maximum field of vision. Removable kit fitted on the side of the helmet. Light weight. System suitable for multiple brands. Nothing remains on the helmet after use. The self-adhesive fitting on your camera fixes to the MOPOV and not to the helmet itself. 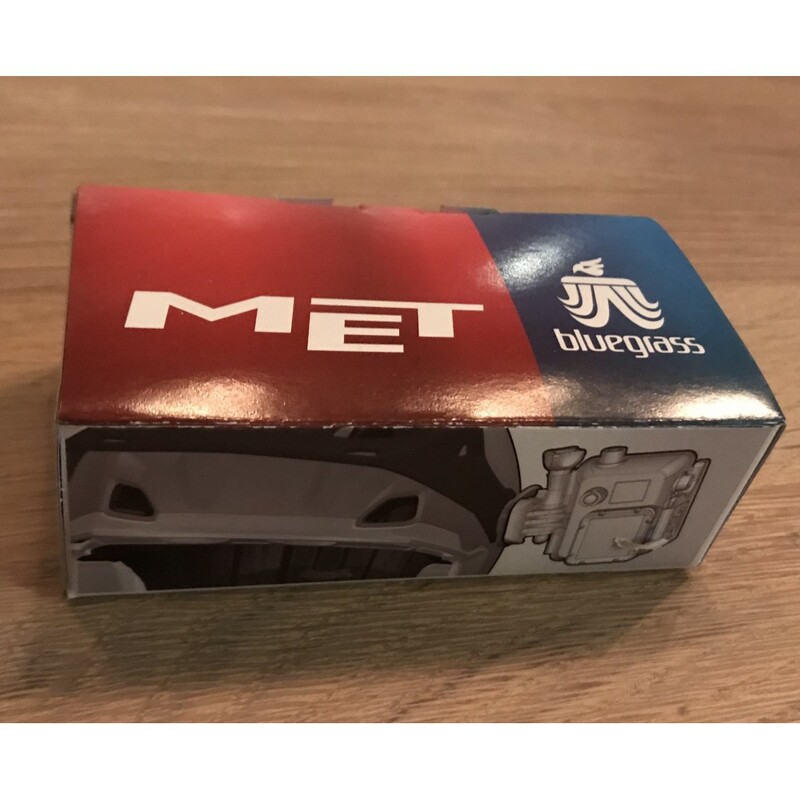 One of the many advantages of this system is that the strap can be adjusted perfectly and wont need to be unfastened as is the case with an automatic buckle (also known as quick release buckles). By simply sliding the strap along, you can either take off the helmet or just wear it loosely without having to undo the buckle. The EJECT bag can be easy inflated inside the top shell to help the removal of the helmet and to reduce the damage to the spine. Moulded ribs on the shell help keep the goggle strap in place. 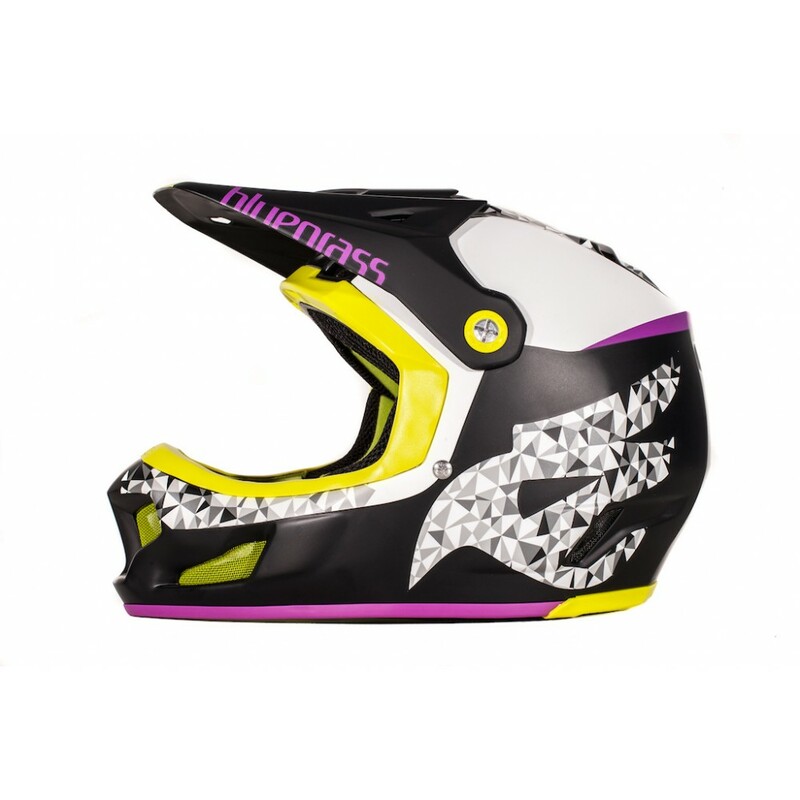 Everything has been thought out so as to optimize the fit of the helmet goggle and helmet neck-brace. Compatible with most of the models available.